Size of this preview: 800 × 495 pixels. Other resolutions: 320 × 198 pixels | 1,200 × 742 pixels. A Champion stands at attention in the Droughtlands. Official screenshot revealed by MMORPG.com as part of their Champion first look. current 19:05, 10 June 2010 1,200 × 742 (172 KB) Souper3 (talk | contribs) A Champion stands at attention. 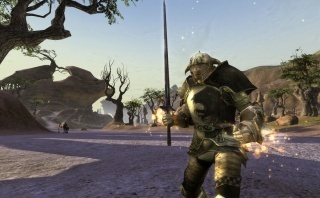 Official screenshot revealed by MMORPG.com as part of their http://www.mmorpg.com/showFeature.cfm/feature/4307/General-First-Look-at-the-Champion.html Champion first look. This page was last edited on 10 June 2010, at 22:45.